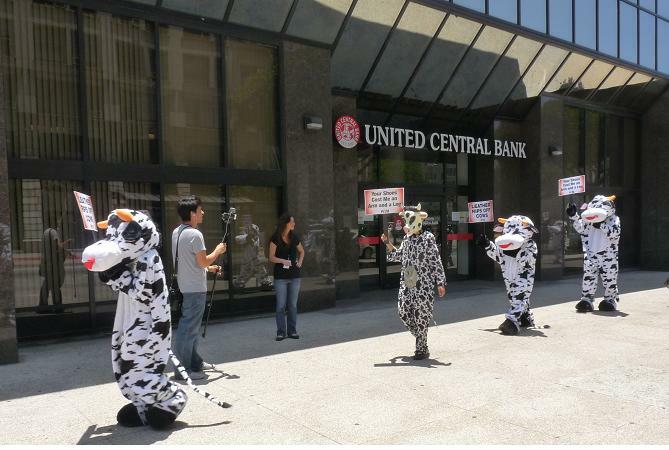 Here’s something you don’t see every day…(at least not in my 13 years working in the heart of the Los Angeles Fashion District)…a parade of cows. 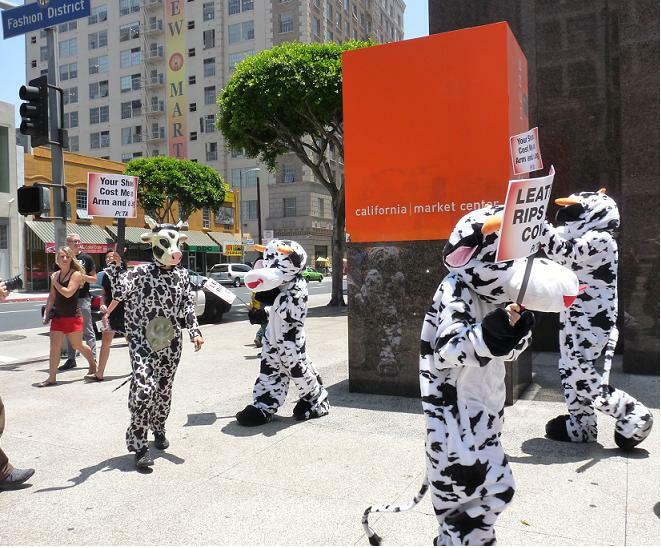 Marching to the rhythmic thunk of a cowbell, a small herd of protesters dressed as cows and about a dozen more waving signs staged a demonstration in front of the California Market Centertoday during the Los Angeles Fashion Market. 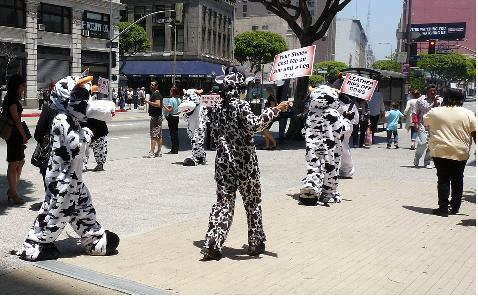 The protest was organized by the People for the Ethical Treatment of Animals, who said they were urging people not to buy leather shoes at Transit, the footwear show held on the CMC’s 13th floor Penthouse. Waving signs that read “Whose Skin are You in?” and “Hands Off My Hide,” the protesters drew plenty of curious stares from pedestrians and encouraging beeps from passing cars. A media spokesperson for PETA said the group was planning to stage a similar protest in Las Vegas during the upcoming shoe trade shows.